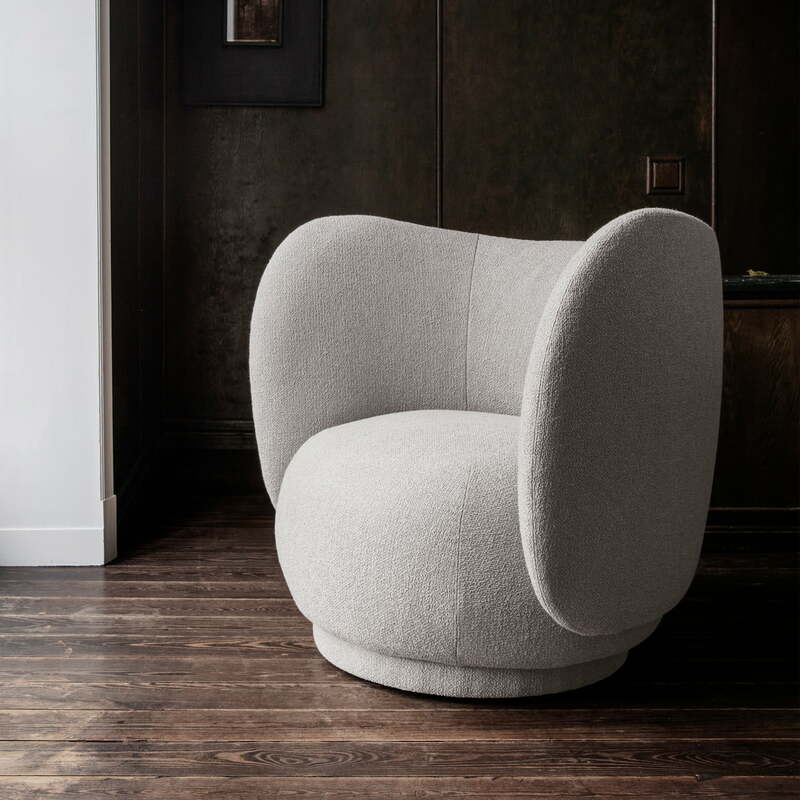 The Rico Lounge Chair from ferm Living is characterised by its voluminous appearance, which is both cosy and inviting. Its arched backrest, which extends almost to the floor, seems to embrace the user gently and creates a harmonious connection with the seating surface. It reminds of a classic Pouf in round form and is completely designed without legs. 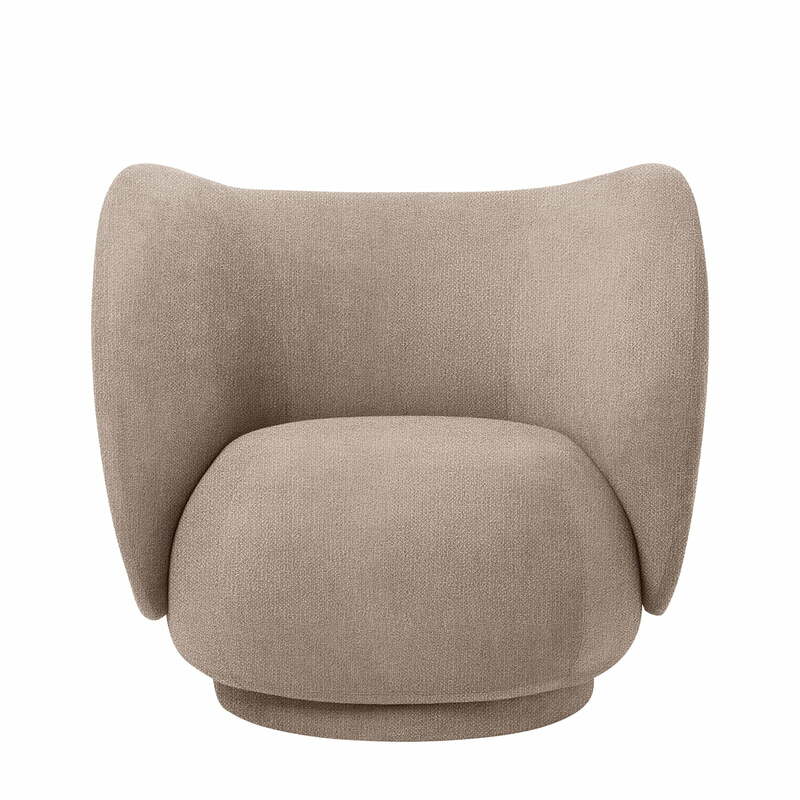 With its compact expression and luxurious upholstery, the armchair invites you to relax. As a reading armchair in the corner or integrated into an existing seating corner with the matching Rico sofa , the armchair sets stylish accents. He also cuts an excellent figure in public institutions such as hotels or cafés. Upon request, the Rico armchair is also available in other colours. Rico Lounge Chair, Bouclé sand by ferm Living in single view. 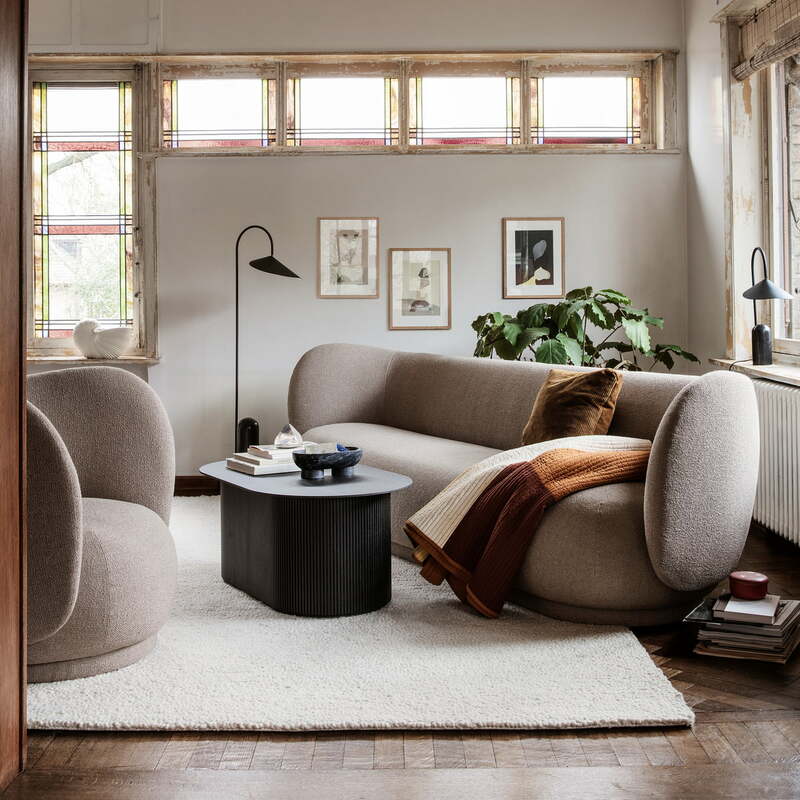 The Rico Lounge Chair from ferm Living is characterised by its voluminous appearance, which is both cosy and inviting. Its curved backrest, which extends almost to the floor, seems to gently embrace the user. Rico Lounge Chair in and Arum floor lamp from ferm Living in the ambience view. 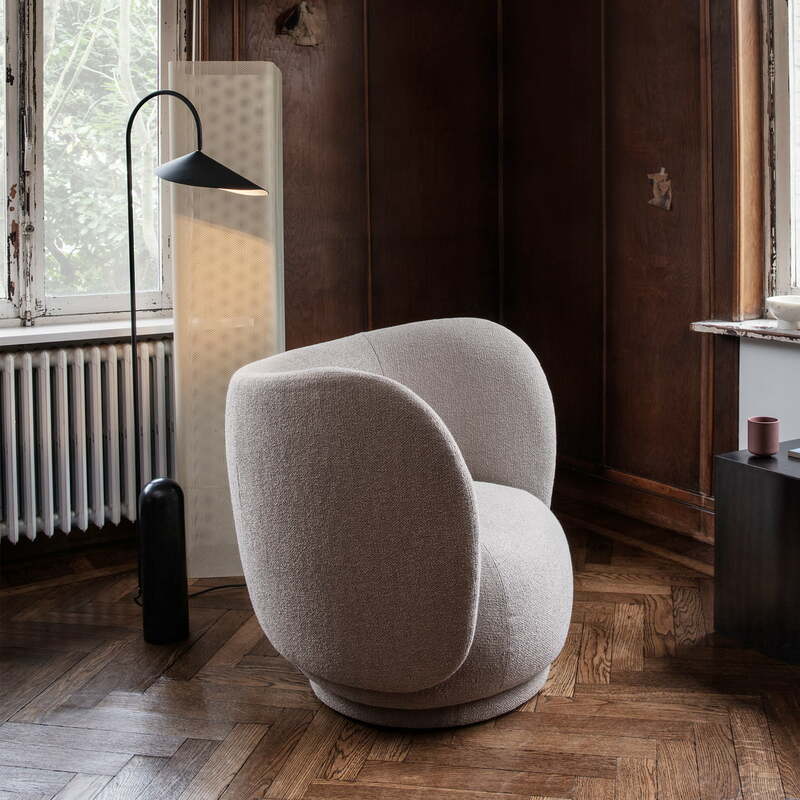 In addition to the armchair in the living room, the Arum floor lamp can provide light for reading. Rico Lounge Chair in Bouclé off white from ferm Living in the ambience view. As a reading armchair in the corner or integrated into an existing seating corner with the matching Rico sofa, the armchair sets stylish accents.